The Intolerant Gourmand - Eating out with allergies – Is it really so terrible? 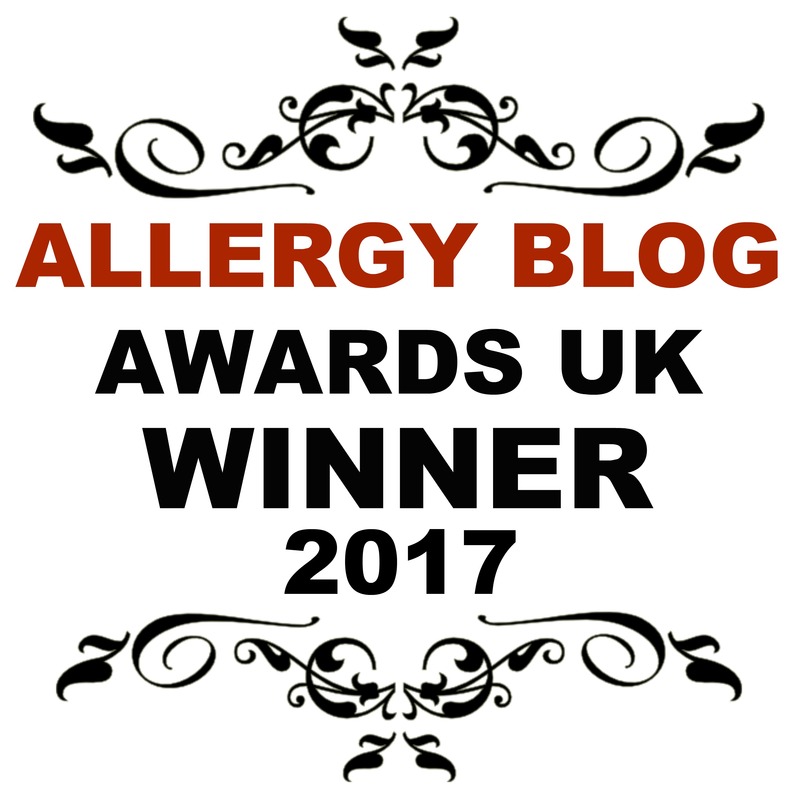 Eating out with allergies – Is it really so terrible? Are allergies a fad? Or should restaurants be taking them more seriously? It’s a question that is being asked repeatedly in the media, and never more so than at the moment. Last month saw allergies back in the spot light of the media, but for seemingly all the wrong reasons. In an article picked up by many, Raymond Blanc aired his displeasure of customers with allergies, advising some 50 patrons per night are ‘claiming’ to have allergies of some description. Quoting Raymond Blanc, who said ‘we are a kitchen, not a hospital’ and went on to say ‘now, if you don’t have an allergy, you’re nobody’ it is fair to say that a large number of people were incensed at this. The article was inflammatory at best, and served only to whip up a hornets nest within the allergy world. Raymond Blanc did go on to say that he takes allergies and food intolerances very seriously, but the damage was done. Allergies are much more prevalent! With an estimated 1-2% of adults suffering with food allergies, and with more thought to be undiagnosed, and around 5% of children also with food allergies, it’s no wonder it’s become big business in the food industry. The free from sector is the fastest growing industry and is set to continue to increase rapidly as allergies continue to rise and more awareness is raised. It’s a multi-billion-pound market, with more than half of British households having bought free from food in the first quarter of this year alone. Now, without wanting to spell it out, that’s a massive number of people! We even have the fabulous Free From Eating Out Awards here in the UK, championing the very restaurants, pubs and cafes that understand the need to be all inclusive, and do their upmost to cater for every customer who walks through their door. But, in spite of all of this, eating out with allergies still proves to be difficult as the ‘Gwyneth Paltrow’ effect continues. Years after proclaiming that clean eating was the way forward, the damage it did to the food sector is still clear to see. So, what is the Gywneth Paltrow effect? Well, for those following particular diets, they believe gluten-free to be the answer. And so when eating out, instead of being honest and advising their waiter/waitress that they are on a diet, they say that they are gluten intolerant or have an allergy. The problem with this, is that when all the beautiful desserts come out, the diet goes out the window and they eat whatever they fancy, gluten laden food included. It leaves chefs understandably baffled and unsure of what or who to trust. Who do they trust? And can we really blame them when they are faced with this night after night? I work with a number of chefs who have all confirmed that they see this very problem on a daily basis and it’s not going away. Now, there are some places out there who ride the storm exceptionally well, and make a point of catering for their customers regardless of dietary requirements. Examples of those who do it well include Pizza Express, and also The Old Queens Head in Penn, both of whom are Gold winners in FFEOA17. They are proud to create dedicated menus to cater successfully for dairy-free and gluten-free in particular. I myself have witnessed first hand the many places we have eaten out with Callum. If you give them a solution, and viable option, more often than not, they will be more than happy to accommodate and even rise to the challenge. They want to prove to us and to themselves that they ‘can’ do it! Whilst I appreciate that Raymond and his team may find it difficult to cater for those with allergies during a busy pass, as someone who creates recipes for a living, it is much simpler than it seems. Many of the recipes can use alternatives to butter, and being half French myself, I have successfully recreated many traditional French dishes without too much difficulty. talkRadio picked up on the story and asked me to join them to discuss the situation. I invited Raymond Blanc to get us to visit Le Manoir aux Qautre Saisons so I could either cook alongside him, or see what he can produce that would be safe for Callum. I stand by it, and would love for this to happen so this can be turned into a positive. I’d even love for his Michelin starred restaurant to be shortlisted in the FFEOA18. How fantastic would that be? And what a way to turn things around! I’ll keep you posted as to whether anything happens! Up and coming chefs such as the extremely talented Matt Campbell who is a finalist in the current series of Masterchef – The Professionals (I’m hoping he will have won by the time this article is published) is pushing the boundaries of ‘normal’. He successfully created a spectacular vegan and gluten-free delight which wowed the judges, Greg Wallace included. To me that speaks volumes! Classically trained chefs such as Marcus Wareing and Monica Galetti were in awe at the punchy flavours, Michelin level presentation and all from ingredients you simply wouldn’t expect to be used. That is what free-from food is all about! Knowing where to add certain flavours to balance everything to perfection! I repeatedly say it to my clients and also when I lecture/ present, free from food doesn’t need to be boring! It can still look and taste as good as the real deal, because it IS the real deal, and as previously mentioned, the FFEOA are testament to this. Ever since Callum was diagnosed, it has been a challenge to eat out, and to trust someone else to cook his food. To question intensively to ensure they understand about cross contamination and the consequences if they get it wrong. And the consequences aren’t minor. If it goes wrong, it could ultimately kill Callum. Having witnessed first hand the horror of watching your little one suffer an extreme reaction, a lot of trust and faith is placed in food. So, I understand where Raymond Blanc is coming from, but I also urge him to look at it from the other side. Adults and children suffer with allergies, but why should they miss out on delicious food when eating out. You don’t choose to have allergies, they sadly choose you. They’re not a life style choice, they’re life changing. But as I always say, they don’t have to be life defining. If you’d like to see the article for yourself, you can find it here. How do you feel about eating out? Do you feel safe? Do you think there are still changes that can be made?